Like every city dweller, I’m always on the lookout for that quiet location I can escape from on weekends. I just found one after a friend and I went on a day tour at Vista Tala Resort and Recreational Park in Bataan. 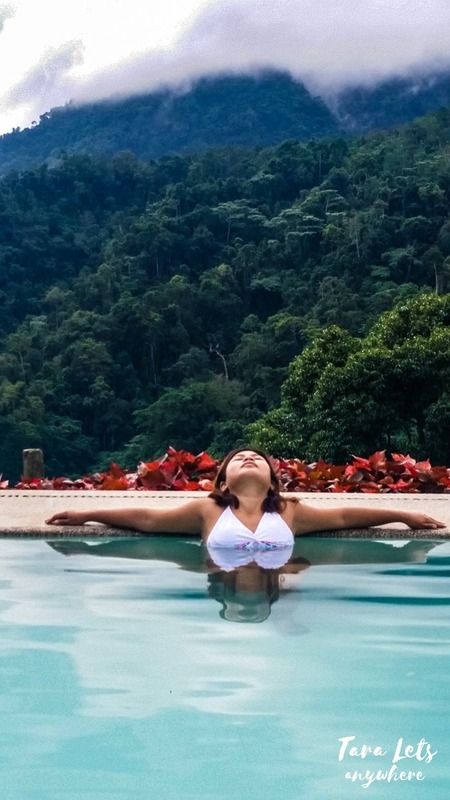 I wasn’t really expecting to be amazed because I’ve seen a few people who exaggerate their travel experiences to up their social media game. Still, I wanted to see this for myself… and yes, maybe do a little bit of pictorial. 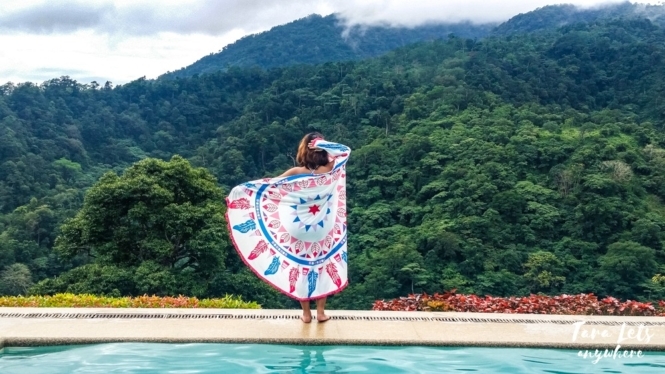 After seeing Vista Tala Resort in person, here’s my verdict: It is worth the hype. My good friend Chup and I visited here on a weekday. Except in the morning when there was a small group in the pool area, we had the place to ourselves. 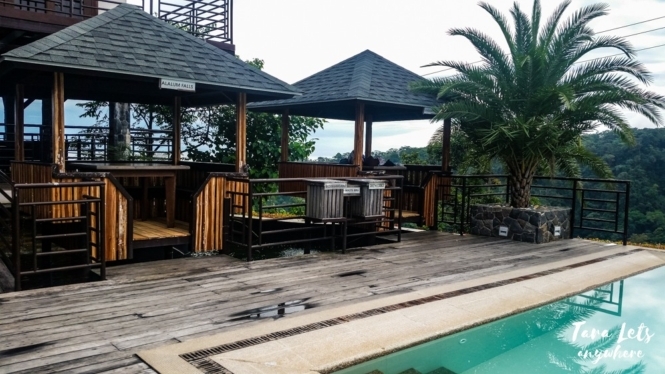 Vista Resort is located on top of a mountain in Barangay Tala, about 15 minutes away from the mountain. As such, it’s cold in the resort, but not as chilly as in Tagaytay. 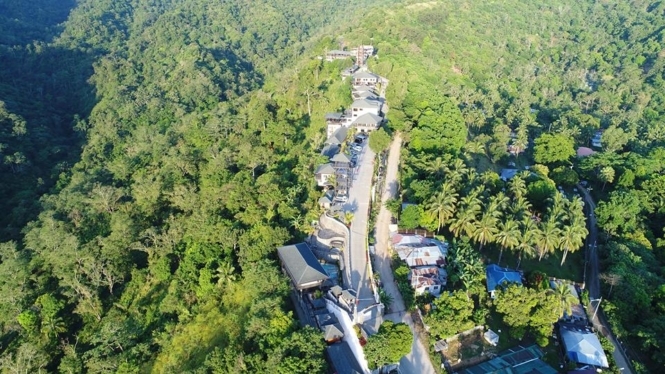 The whole resort faces the top of Mount Natib, giving it a great mountain view and a luxurious tropical feel. We rented an outdoor cottage beside the pools. Splashing around and then looking at the foggy mountain top was relaxing. It was also a great location for shooting IG photos, if you’re into that. We spent most of the day swimming and chatting. Even the restaurant was great. 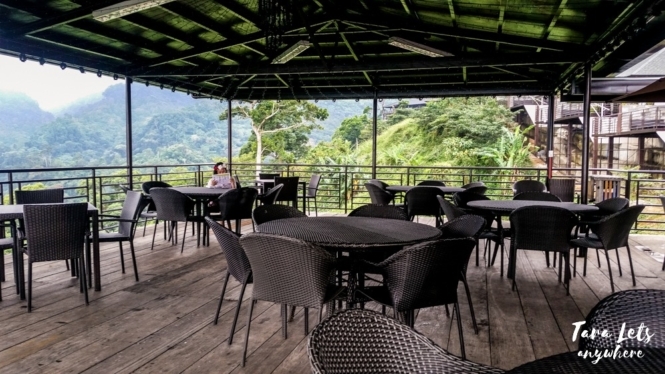 There’s an alfresco area, where you can see more of the forest trees and enjoy a cup of coffee or hot chocolate. Chup was so happy with our find that she kept saying she didn’t want to leave. I think part of the reason we enjoyed our stay here is that we visited on a weekday. There are three outdoor pools open for day tour guests, which is fine by itself. However, I think the pool area is too small to accommodate guests on weekends given that most rooms are booked or during peak seasons. 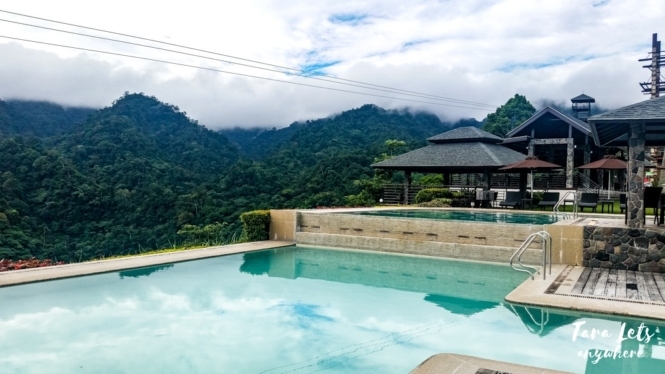 Perhaps the main attraction of Vista Tala Resort is its tropical mountain ambiance, not the pools facing the mountain landscape. If there’s anything I would suggest as an improvement, it’s adding a hot pool. That would be perfect. 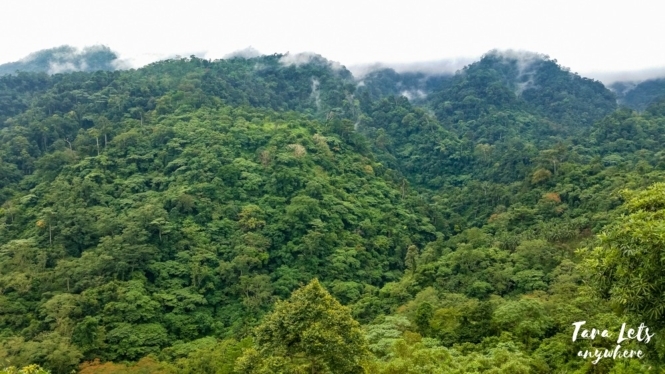 Vista Tala Resort and Recreational Park is a mountainview resort located in Orani, Bataan. 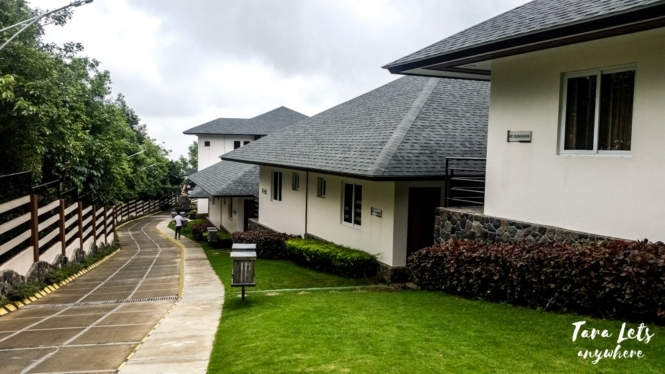 It offers a variety of accommodations, from a dormitory-style barkada room to villas with Jacuzzi. Ride a bus en route to Mariveles, Bataan. There are bus terminals in Cubao and Pasay. Fare is about P180 per person. Get off at the town of Orani. Just across Petron gas station is a queue of tricycles that can take you to the resort for P150 per way. To get back to the town center, simply ask the resort’s receptionist to call a tricycle for you. 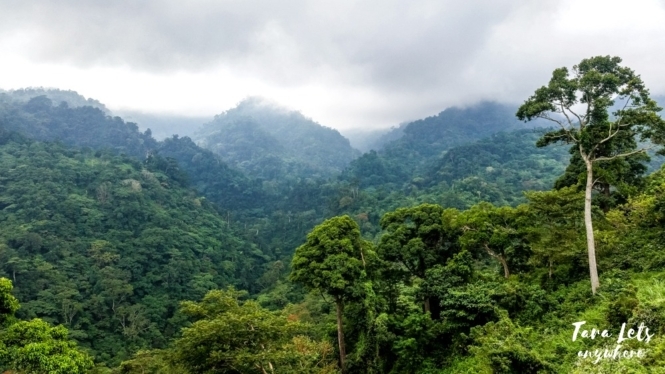 There is also an optional river trekking, from 9AM to 2PM. Guide to the river is free. We skipped this because the river is about 700 steps away from the resort, and online photos aren’t convincing. From our experience, P200 is more than enough for a rice meal. I suggest getting a cup of their hot chocolate or coffee, which is really good. Guests are not allowed to bring their own food and drinks inside. Aside from the day tour fee, you also need to rent a cottage. A cottage costs about P250. Schedule for day tour is 9:00AM to 5:00PM. An overnight accommodation comes with complimentary breakfast. 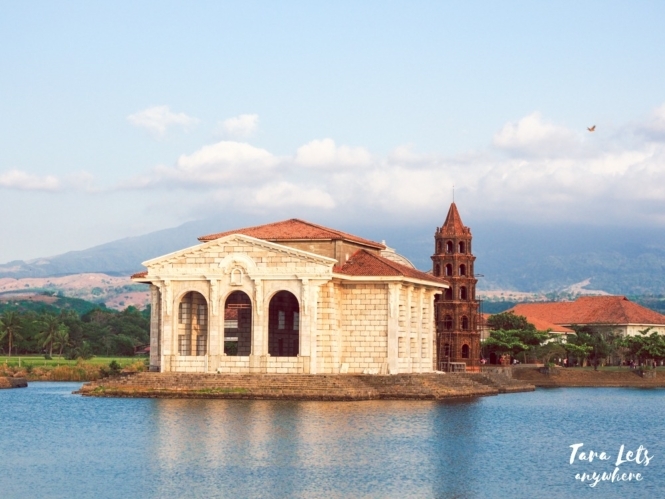 For 2 people on a day tour, prepare a budget of P1300-1500 each. 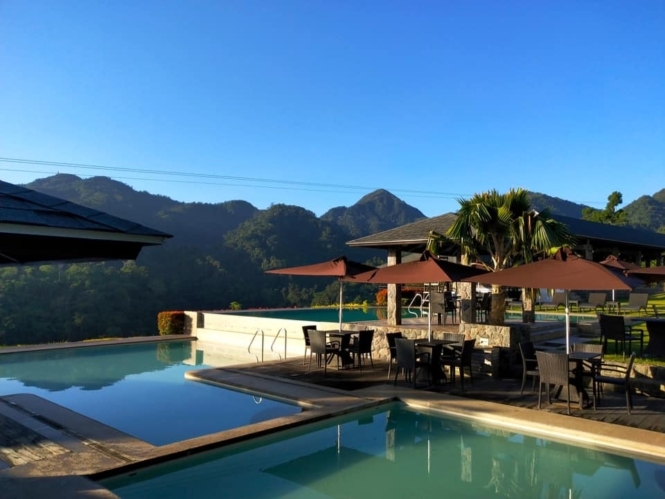 Have you been on a day tour at Vista Tala Resort in Orani, Bataan? How did you like the resort? This looks like an amazing place! I would definitely suggest this to my husband. Looking at the pictures, it seems like a toddler-friendly place, but not for a day-trip. I tried checking out their site for overnight rates, but the URL is invalid already. Thanks for the tip! I re-checked their url in Google and there’s another one but it’s also not working. Will keep this for now and re-check after a week or so, maybe they’re re-constructing the website.